Here at Sidney Lee Welding Supply Co. we are always keeping up with developments in welding equipment in the Atlanta, GA area and beyond. 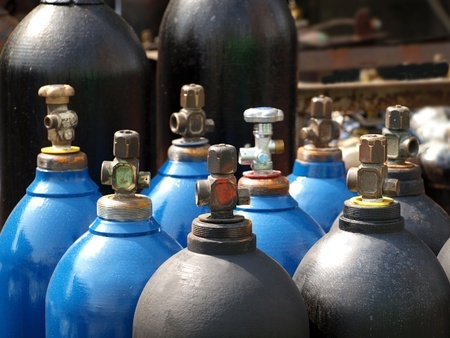 In fact, our specialties include providing high-end welding gas for our clients in the medical field. Even beyond the use of quality welding gas in laboratory research and medical offices, welding reaches beyond the production space. One of the most cutting-edge fields of welding tech is actually in the medical and scientific industry. You’ve probably heard of nanotech. This is the field that might save computers in the future: tinier and tinier components create more and more compact microprocessors for computers and other machines, too. In the world of welding, the equivalent technology is called microwelding, and has huge applications in the medical industry. From product design to actual internal medical procedures, laser welding can be an important part of the modern surgeon’s toolkit. Fabricating extremely fine wires can be necessary for medical products like microcatheters and guidewires that have to navigate through the narrow passageways of our body. The microwelds that produce such technology can be as fine as 35 microns. If you are used to spot welding your Chevy, this is obviously a whole other kind of ballgame. It takes the use of specialized welding equipment such as laser welding machines to carry out these tasks. The same pulse welder that can create these microwelds can help welders properly seal appliances that will end up inside a patient’s body, too. The deep penetration of light from a laser can create seamless welds, pleasing both the eyes of the medical customer and also the organs of a patient. If you’ve got a machine ticking in your body, it is not something you want to feel the weldments of! Luckily medical technology has come a long way since the early days of laser welding, and these days micro-welders can create parts that are worthy of being joined to patients’ bodies when necessary. Not just stents and tubes, but even bionic bits like joint plates for our lumbar vertebrae can be welded to a satisfactory level of finesse that they can flow naturally with the body as it moves. Interested in getting your start in welding for the medical or other exciting field? Just visit your local Sidney Lee Welding Supply Company store in the Atlanta, GA region today.